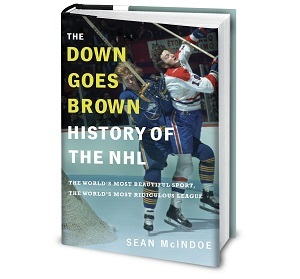 Down Goes Brown: The time Islanders coach Mike Milbury decided it would be a good idea to try to intimidate Wendel Clark: An excerpt from "The Best Seat In The House"
The time Islanders coach Mike Milbury decided it would be a good idea to try to intimidate Wendel Clark: An excerpt from "The Best Seat In The House"
As some of you know, Sportsnet’s Ian Mendes and I are old friends going back to our days in journalism school. In a neat coincidence, we both had our first books come out within days of each other in September. 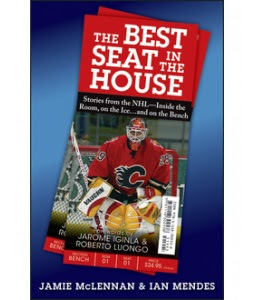 In "The Best Seat in the House: Stories from the NHL Inside the Room, on the Ice and on the Bench", Ian and Jamie McLennan share some of the inside stories from McLennan’s career as a backup to some of the NHL’s most legendary goalies. It’s a great book and I hope you check it out. I thought the excerpt below would be of particular interest to DGB readers. When people think about Wendel Clark's career, they automatically picture him wearing a Toronto Maple Leafs jersey. After all, for almost a decade, Wendel had blue and white coursing through his veins and he was one of the most popular sports figures in the history of Toronto. I was fortunate enough to play one season with Wendel with the New York Islanders in 1995-96. We had a very odd mix of players on that team and we were like a franchise with no clear direction. We had some really good young players like Ziggy Palffy, Todd Bertuzzi and Bryan McCabe. But we also had a collection of veterans, including Wendel, Pat Flatley and Derek King, who wanted to win right away. We had Mike Milbury running our team as the head coach and we finished in last place with just 54 points. Having Mike as a head coach was a unique experience because he often had some very strange ideas about how to play the game and how he should motivate his players. And that would sometimes clash directly with a guy like Wendel, who was a no-nonsense person both on and off the ice. One night during that 1995-96 season, we were in Los Angeles to play the Kings when they still had Wayne Gretzky. Before the game, Mike went on and on about how we had to contain Gretzky-which wasn't exactly breaking news to any of us inside the locker room. "We can't give Gretzky any time and space. We have to close on him quickly," Mike said to us in his pre-game speech. "Make sure you are on him at all times." In theory, this was a great idea because we needed to focus on Gretzky. But the problem was, Gretzky had made a living out of being the best passer in the game for the past 15 years and nobody could really stop him. So if all our defenders would swarm at him, he would easily find an outlet to make a pass to set somebody up for a scoring chance.